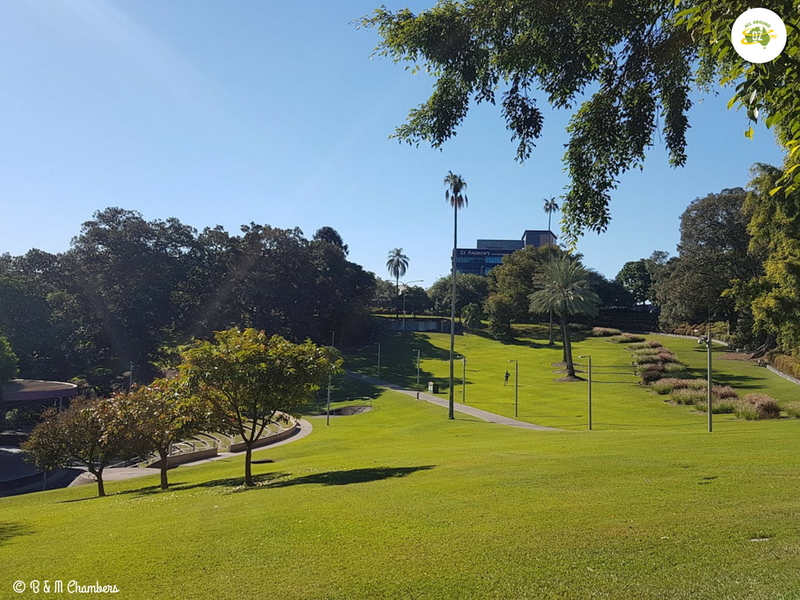 Nestled in the heart of Brisbane City you will find Roma Street Parkland. This lovely green space stretches out over 16 hectares and was a real delight to discover. The lake in the centre of Roma Street Parkland with Brisbane City behind it. 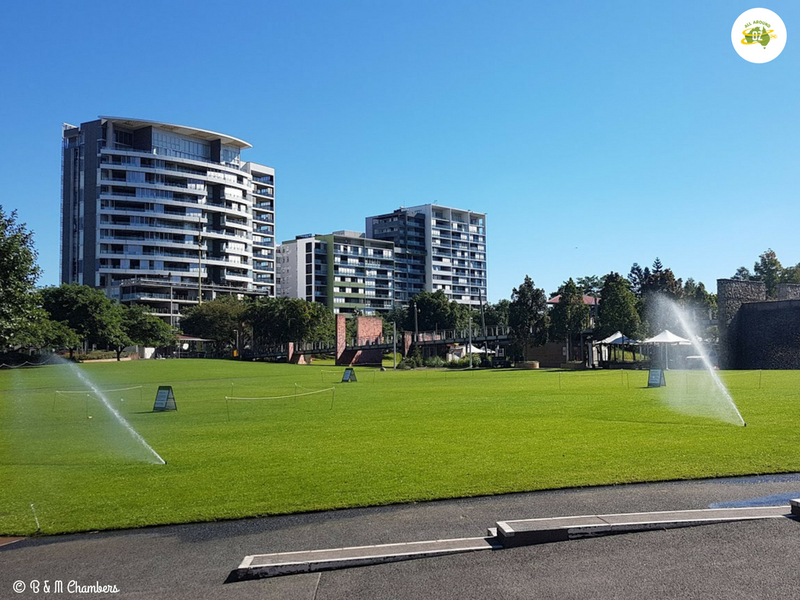 Roma Street Parkland is located just behind Roma Street Station in the Brisbane suburb of Spring Hill. The easiest way to get to the Parkland’s is to catch a train as there is not a lot of parking around and what there is, is usually expensive. Roma Street Parkland is a relatively new addition to Brisbane City. It was only opened in 2001. Prior to the area’s re-development, it was used for a number of different things. Prior to white settlement it was a meeting place for the Turrbal Aboriginal people. It was also used to hold markets, was a railway yard and there was an orphanage and a school there. It was also a base for American troops during World War II. When the railway yard moved to Acacia Ridge in 1991 the area lay unused for a number of years until the Queensland government announced in 1999 that it would build a parkland there. Work commenced the following year to create the much needed inner-city green space. Roma Street Parkland is divided into several different sections with walking tracks winding their way throughout the gardens. At the main entrance is the area known as the Celebration Lawn. Underneath this lawn is a 400,000 litre water tank which supplies all the gardens water needs. The Celebration Lawn has a 400,000 litre tank underneath it which is used for watering the gardens. On the other side of the lawn is a large lake, which is home to plenty of birdlife. Adjacent to the lake there are barbeques and picnic tables. If you walk around the edge of the lake you will fine the Spectacle Garden in Colin Campbell Place. With an amazing array of flowers and sub-tropical plants, I almost felt like I was in a secret garden. Colourful flower beds can be found in the Spectacle Garden. Continuing on from here, we discovered an awesome kids playground, tucked underneath lovely shady trees. A large amphitheatre nearby was being used for a council run ‘Healthy Active’class. Above the amphitheatre is a huge expanse of green grass, with lots of trees dotted around. This area was formerly known as Albert Park and was created in the late 1800’s. It is the perfect spot to set up for a picnic or just relax in the sun. The Upper Parkland section of Roma Street Parkland. Footpaths are plentiful within the Parkland, which makes access much easier for anyone requiring a wheelchair or parents with little ones in prams or strollers. Just at the entrance to the gardens, from the direction of Roma Street Station we discovered Melange Cafe. Located in the Carriage Shed, this newly refurbished venue had the best cafe style food we had eaten in while. Another lovely feature was the open style of the building with doors that fold wide open so as you can take in the views of the Celebration Lawn and waterfall in front of you. Melange Cafe in the Roma Street Parklands was the perfect spot to enjoy a leisurely lunch. They also serve coffee, cake and ice creams. There is even a High Tea Experience available. Prices start at $45.00 per person. The food at Melange was delicious – Caesar Salad and Chicken and Avocado melt. 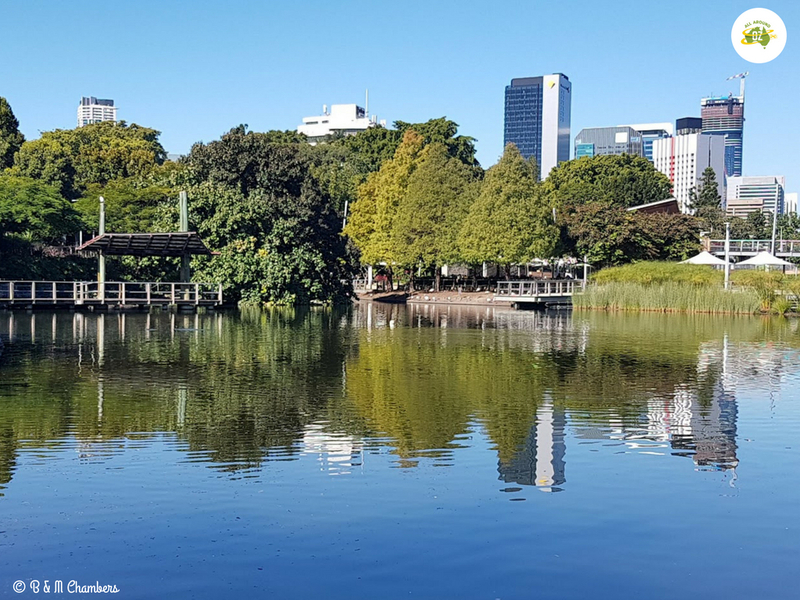 If you would like to learn more about Roma Street Parkland, free Guided Walks are held twice daily at 11am and 1pm. These walks are all conducted by Volunteers with a passion for the Parklands. 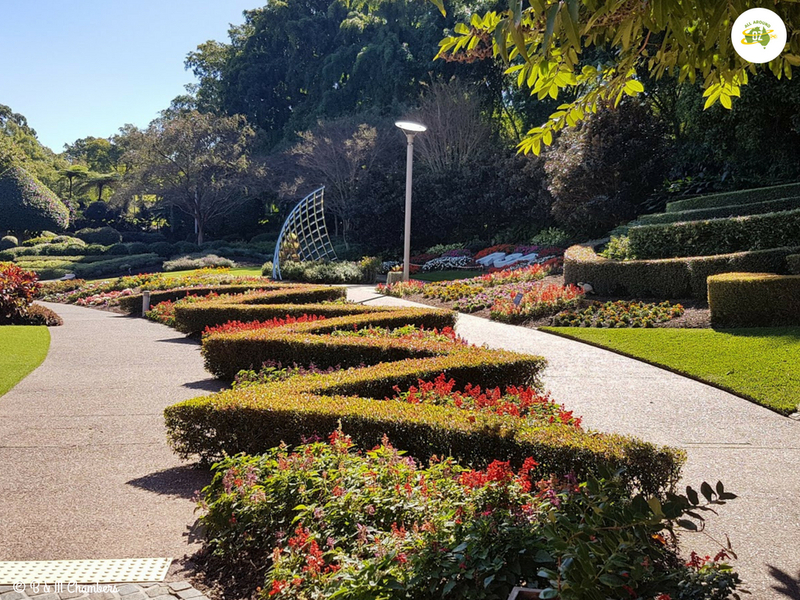 For more information about the Roma Street Parkland, head over to Visit Brisbane. I’ve never been to Roma Street Parklands in Brisbane and after seeing your photos I think I should put it on my Brisbane must see list. It’s probably because the South Bank parklands tend to dominate over some of the lovely parks in Brisbane. I would also love to see the Botanic Gardens at Mt Coot-tha at some stage. They were a real surprise Kathy. Really lovely spot. I’ve been up the top of Mt Coot-that but never into the Botanic Gardens. I would love to go to the Brisbane Botanic Gardens as well.